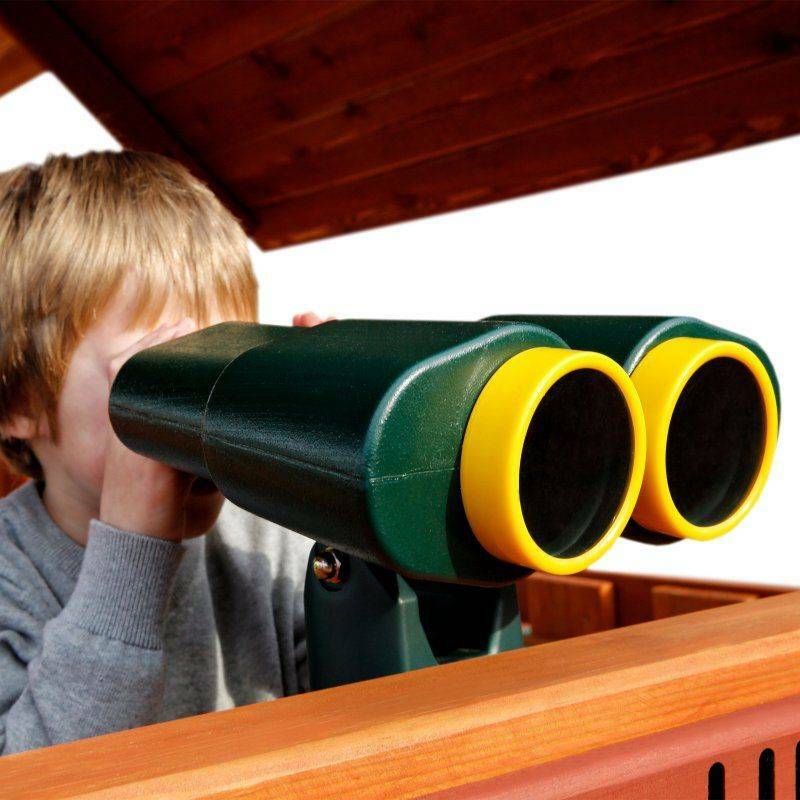 Let your child see the world around them through these Jumbo Binoculars. 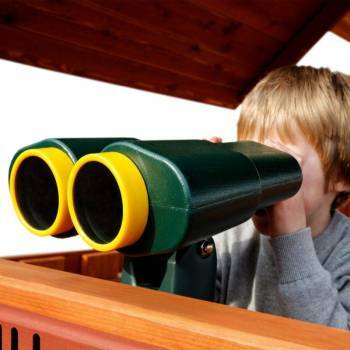 These Binoculars are made of durable polyethylene with clear lenses at each end. The lenses keep wasps and other creatures from building their nests inside the Binoculars. All mounting hardware is included to easily install on your wooden swing set. The lens do not magnify and for imaginative play only. 2019 the colors are ONLY Blue and Yellow. New picture coming soon. Dimensions: 11.5" X 11" X 6".